Windows 7 has hidden away some features and options pretty neatly but nonetheless they still exist. Such as the option to change the system fonts. 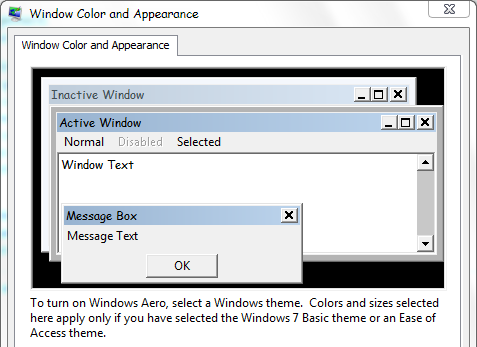 To get there try searching for Change window colors and metrics in the Start menu (metrics is also sufficient). Hit enter if you have found it and you will be guided right to the fonts window where you can change the font and size of all the Windows fonts. And since we all love Comic Sans, why not use that on every option?